Today is a good day. The sun shone. Spring was definitely in my step. 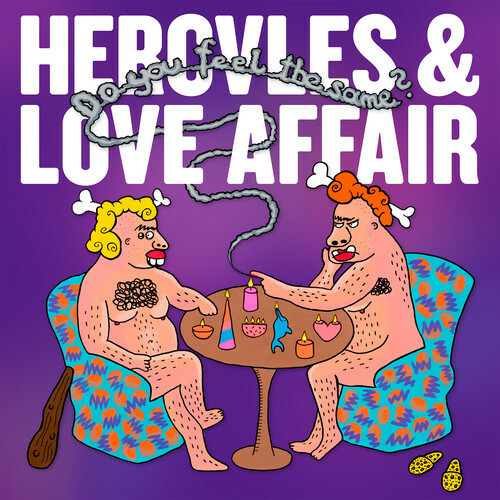 And so it seemed only appropriate that I greeted the news that Hercules & Love Affair were dropping their latest longplayer in May with the hankering for dodgy nightclubs, you know, the kind with sweat dripping from the arches, dark corners full of promise and a dancefloor filled with like-minded dancing souls. Yep all this comes with just one listen of Hercules & Love Affair’s forthcoming album track Do You Feel The Same? Its fuelled with acidic throwbacks, looping vocals, heavenly intentions and that old skool feel when clubbers raised their hands together on dancefloors filled with love. And it feels good. Add the anticipation that only a longplayer from Butler and Co can bring and, well, I’m stepping with the type of spring only decent house music can bring. Roll on May and more of the heavenly Hercules stuff. It’s time for The Feast of the Broken Heart. The Feast of the Broken Heart. Out May 26 via Moshi Moshi. TagsAndy Butler, Do You Feel The Same?, Hercules and Love Affair, Perfect Distractions, The Feast of the Broken Heart.